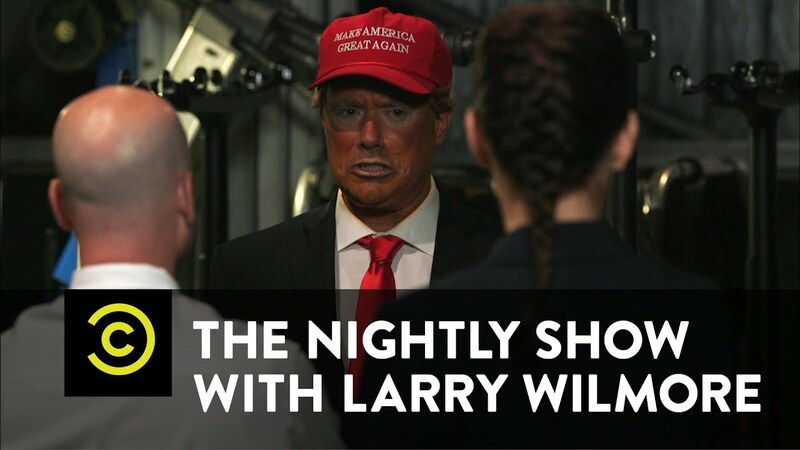 Bob Dibuono was the exclusive Donald Trump character on Comedy Central's Nightly Show this past season. Fortune magazine has rated him one of the elite Trump impersonators in the country!! Bob DiBuono was recently written up by CNN after his Trump performance in front of thousands at the Afropunk Festival in NYC. You can see more his TV appearances and clips on YouTube. As a touring comedian, Bob DiBuono headlines around the country doing stand up wowing the audiences with his high energy act and celebrity impressions!! Take a deep breath and prepare to laugh throughout the entire performance! By far the best comedy around! Bob was very nice and professional. 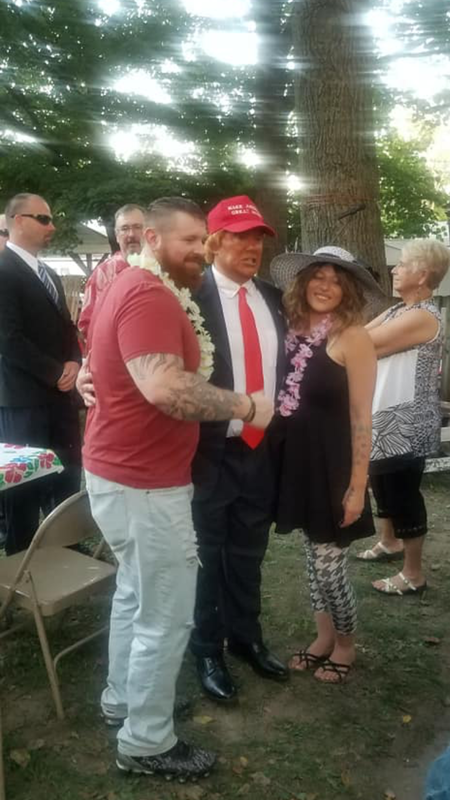 Everyone who attended the event were very impressed with his spot on impersonation of the President having his facial and mannerisms down pat! Bob spent a good amount of time mingling with the guests and having his picture taken with many of the attendees. I would definitely hire him again if I had an opportunity to do so!! Bob is an incredible talent, and may actually do Trump better than President Trump. Bob gladly incorporated personal details about my wife’s family history into his hysterical skit for her surprise Birthday Party. Truly an unforgettable night thanks to Bob. 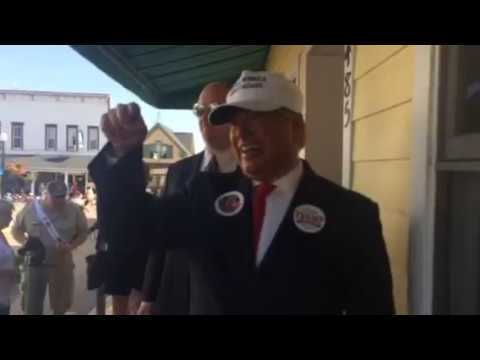 Very Funny Great Trump Impersonator!!! Bob not only has the looks and mannerisms of Trump but he also sounds just like him too. 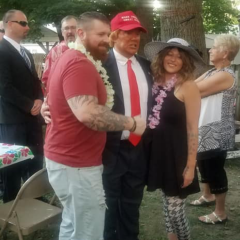 Bob did a fantastic job making us a short video of him impersonating Trump and shouting out to the bride and groom on their wedding day. Bob is on point and is very funny and should have have his own comedy show soon. I will hire him again for our future events in a heart beat. I will also recommend for anyone who wants to try something different to entertain their guest, to try him out, you won't be sorry! Bob was Amazing! Everyone Loved it! Bob came in on Midterm election night and he bombed it. We were laughing and loving it! Thank you for the love Joel - you and your guests were nothing but hospitable and engaging!! Hope we can do more events together!! Bob's impersonation was spot on and his performance was a big hit. Thank you Michael - it was a pleasure working with you and your family and friends were wonderful! 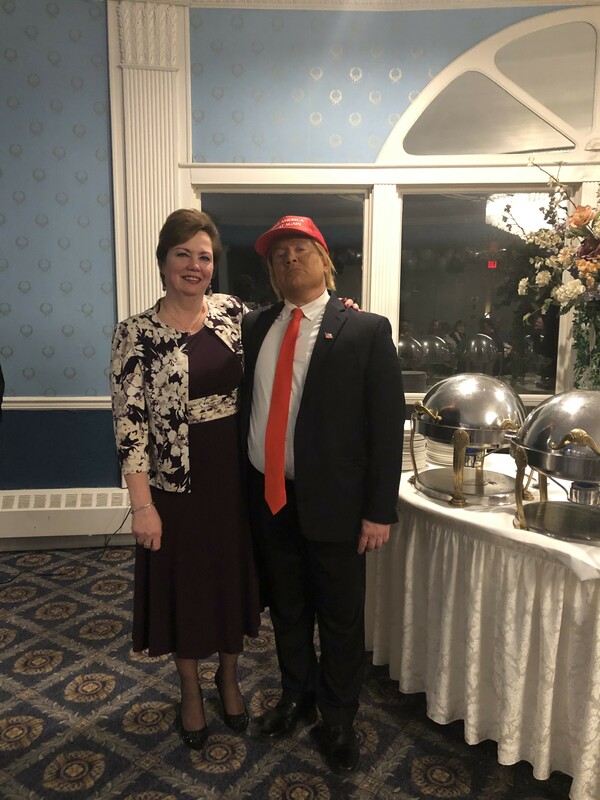 Everyone at our event Loved Bobs performance, as President Trump and as himself. He kept us laughing all evening. As always, Bob was awesome. So friendly, nice, and hilarious. 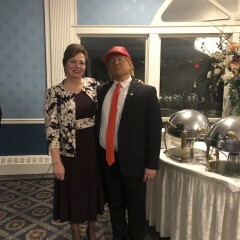 I think he is the best Trump impersonator out there. His mannerisms and voice sound so much like Trump. A pleasure to have at my son's Bar Mitzvah! Highly recommend him. This was absolutely perfect! Bob and I talked about what I wanted, and he then gave me his plan on how he would make it happen. I was completely blown away by the end result, and I will recommend this service to others and use it again without any hesitation......that I can tell ya. Bob was a pleasure to work with for my son's Bar Mitzvah montage. He was hilarious and easy to work with. I highly recommend him. If you're looking to have THE BEST Trump impersonator come to your event... look no further!!! Bob brought down the house!!!! BEYOND hysterical! Uncanny in every way. Not only did he appeal to the Trump lovers... he had the Trump haters laughing even harder! Everyone is so obsessed with Bob's stand up, it's all we keep hearing about from our guests. Truly, the BEST decision we made to help share our day! You will not be disappointed!! There's not enough space here to accurately review Bob's performance. Simply put, the man is a legend. Aside from his talents as an actor, he was punctual and carried a great attitude through the evening. We can't wait to work with him again. Great job by Bob....standing ovation! Bob was amazing. His impersonation of Trump was perfect and he was able to ad lib and improvise so well. We were thrilled with his performance. 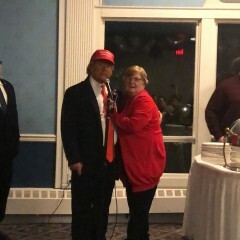 Bob performed at a party and was a terrific Donald Trump. He had the crowd roaring. Highly recommended. Thank you Joel - it was a pleasure to work with you!! Hope we can do more in the near future!! Great to work with, made the event a huge success! Because of logistics we actually had Bob with us for 3 days. He was a terrific guy very engaged. When it was time to be Mr. Trump he was spot on, totally engaged with everyone as he walked the streets and we went from party to party. He was the talk of the weekend! The best fun anyone had! We set the bar high. Will be difficult to top Bob's performance. Great guy and does a perfect impersonation. Quick on his feet, impromptu and spontaneous. He can play off the crowd without any hesitation. 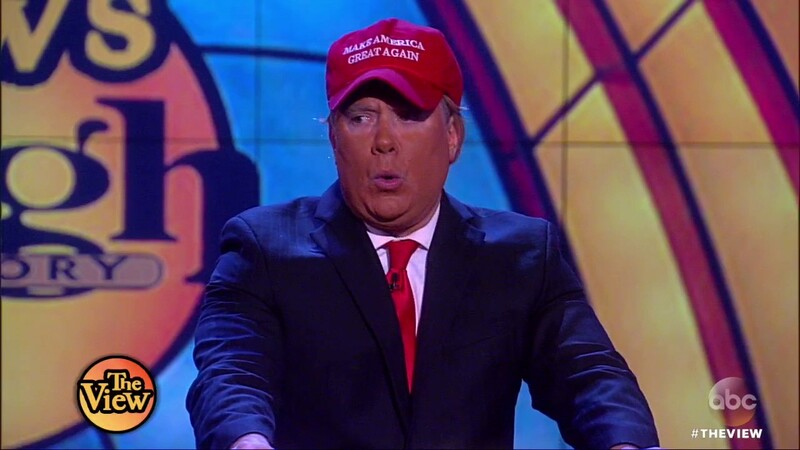 Excellent show impersonating President Trump. Bob was engaging, funny and stayed so he could chat and take pictures for all the residents. The feedback was all positive. One lady said that when she closed her eyes she thought Bob was really the president . This was a wonderful gift for the seniors. 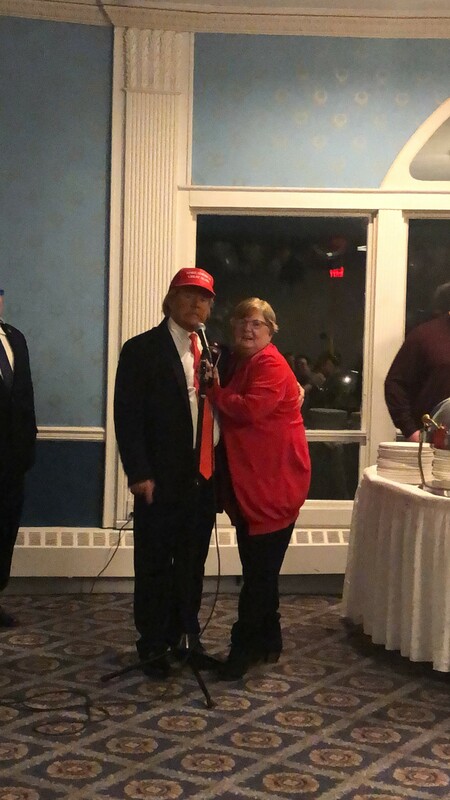 President Trump Appears at Birthday Party! 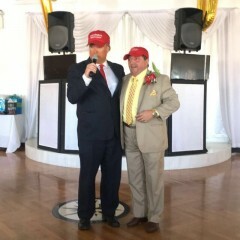 Bob DiBuono was wonderful at a surprise appearance as President Trump. He arrived in plenty of time to prepare and let our family get into the act. 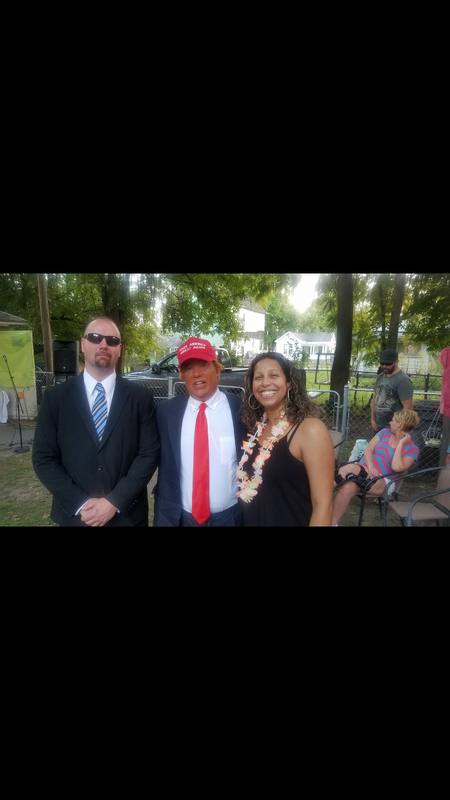 Our son played the secret service agent and our daughter-in-law was Melania. He prompted them for his outrageous behavior and played along with the hecklers. It was a fun night. My husband (it was his party) was totally surprised and got in on the act. Bob stayed and mingled "answering questions" from his people. He's really nice and made everyone laugh and feel comfortable. Hope to see him again on stage. DiBourno was a huge hit!!! Bob performed at the CWA Public, Healthcare and Education Workers Conference and he was AWESOME! So many people thought he was Trump and he was right on point! Very easy to work with and just HILARIOUS!!! 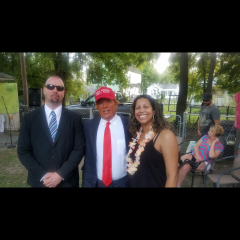 He was great as Trump He sounds and acts like him He gave a speech and had everyone laughing Then he mixed and mingled and took photos All around great job! Bob recently did a surprise 30th birthday party for us and was phenomenal. He was not only hilarious but punctional. I do not think there was one person who wasn't laughing that night. He also was great mingling with the crowd and taking pictures. 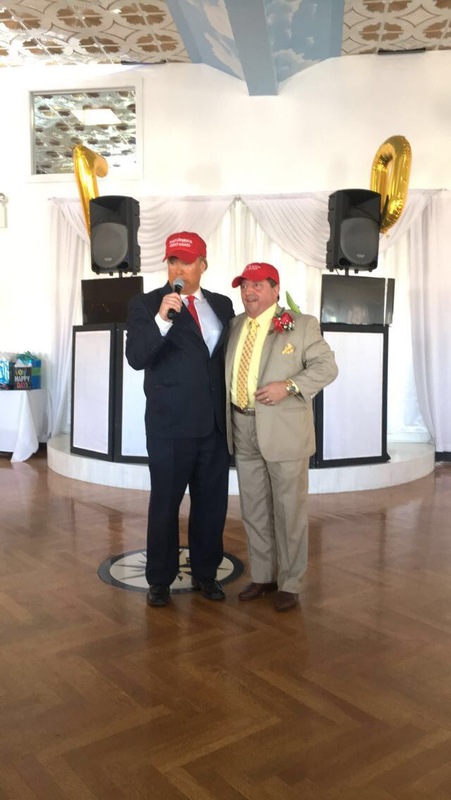 I would highly recommend Bob for any occasion but definitely if you are interested in a Donald Trump impersonator. He was really spot on. Thanks for the review buddy - enjoyed every minute of entertaining your friends and family! Bob was amazing, crowd didn't stop laughing. We had a great time. A high energy stand up act with a large array of characters and celeb impressions. Great with interacting with audiences and crowd work. A versatile act - can MC a corporate show or special event, do walk around and interact with clients or perform for a set time. Bob Dibuono is a stand up comedian in NYC and headlines clubs and venues around the country. Bob has appeared on SpikeTV, Comedy Central, E!, CNN, Live at Gotham on AXS TV and MTV and is a regular on SIRIUS radio. Bob is a high energy act is with dead-on celeb impressions.